WordPress is ever-evolving, and there’s always an easier solution to everything. Likewise, creating WordPress child themes has an easier solution too. So, today, we will learn how you can easily create child themes with a simple and free WordPress plugin. A child theme is a WordPress template that inherits all features and characteristics of another theme, called the parent theme. Creating a child theme will allow you to edit or add functionality to your template without having to overwrite any of the parent theme files. So, you can say child theme is the safest and easiest way to modify an existing theme, whether you want to make a few small changes or the extensive ones. Of course, you can create child themes manually. However, manually creating a child theme takes time. 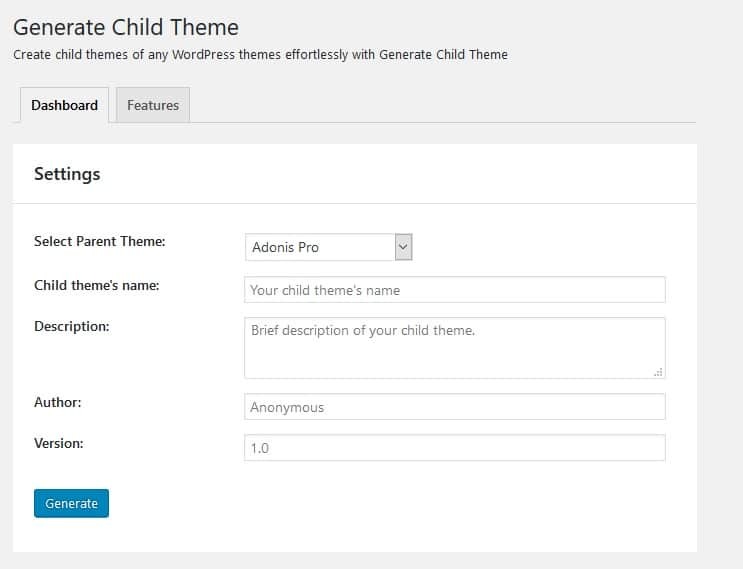 Instead, you can use a simple child theme generator WordPress plugin. 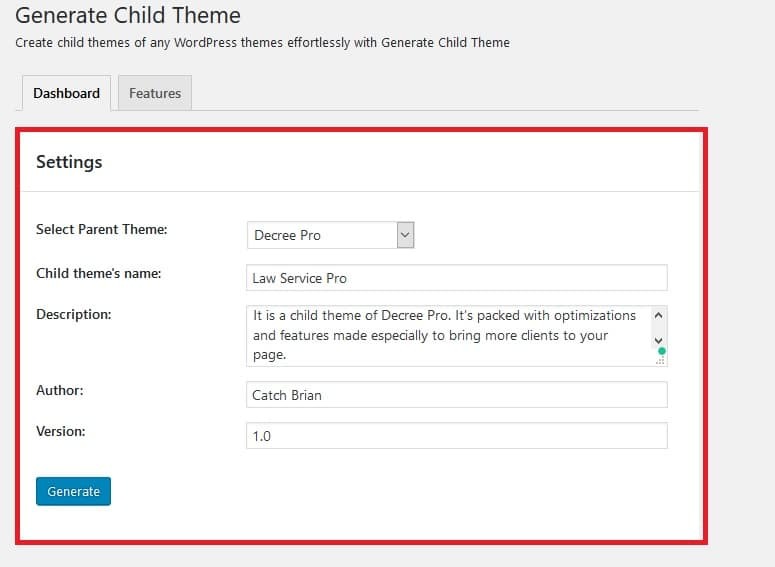 So, today, we will be using a super easy-to-use WordPress plugin – Generate Child Theme by Catch Plugins to create child themes in WordPress to avoid the troublesome coding. Generate Child Theme is a simple WordPress child theme generator plugin that will help you create child themes in just a few minutes. This plugin is absolutely free and extremely easy to use as well. The plugin allows you to quickly create child themes from any theme that you have currently installed on your site/blog. You will not have to deal with coding, or any configuration while creating a child theme. You will only have to fill up few fields—such as select parent theme, child theme’s name, theme description, author, and version—to create the child theme you desire. Having that said, let’s move forward to our today’s tutorial. 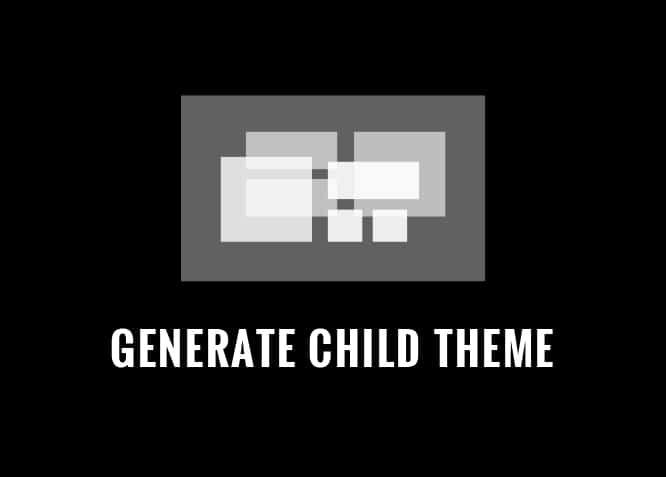 First of all, install and activate the Generate Child Theme plugin from the WordPress plugin repository. After installation, head over to the plugin’s setting page through Dashboard > Generate Child Theme. This will lead you to the main settings page of the plugin. The plugin, however, works out of the box and you just have to fill in a few fields only. Select the parent theme you want to create the child theme of, enter the name of your child theme and its description, the author who created the child theme and the version. Click the Generate button once you’ve filled out the fields. You’ve successfully created a child theme and now, you can edit the child theme on the customizer your way and present it to the world. Wasn’t that an easy task? Now that you know how, go ahead and create child themes easily with Generate Child Theme plugin. If you have anything to add, share or ask, feel free to use the comments section below.